Vehicles with enhanced safety features, including front automatic braking systems and forward collision warnings, have helped to reduce the number of tail end crashes by 43% in the past year, according to the IIHS. Despite these enhanced safety features, there were 17,546 people who sustained a serious injury while driving on Texas roads in 2017. Legally, all motor vehicles which are registered in Texas must have insurance. The legislation states that as a minimum your policy must cover $25,000 property damage per accident and $30,000 injury protection per individual, totaling a maximum of $60,000 per incident. However, when it comes to insurance, it is best to aim for more than the minimum. Take the injury protection coverage – if you spend any time in the hospital or undergo major surgery, that $30,000 will be gone before the final hospital bill arrives. 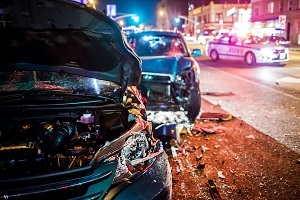 Additionally, Personal Injury Protection and Uninsured Motorist coverage might increase the premium to some extent, but they can offer significant financial coverage after a crash when the person that hits you does not have insurance, or the amounts are inadequate. For safety reasons, motorists in Bedford and the rest of Texas are also legally required to attend a vehicle inspection at an Official Vehicle Inspection Station once a year. This test will ensure that your vehicle is roadworthy and safe to drive. Before you go all out on high-end safety features, it’s important you get the basics in place. When traveling with a small child, you need to ensure that your child is adequately restrained. Texas law states that infants should stay in rear-facing seats for as long as possible, before moving into a forward-facing seat. 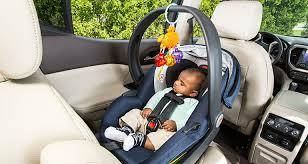 Once the child reaches the age of four and weighs in excess of 40 pounds, a booster seat can be used. Another important safety feature to consider is your vehicle’s airbags. Before any journey around North Texas, you should ensure that all airbags in your car are in working order by keeping an eye out for the airbag warning light. According to The National Highway Traffic Safety Administration, 18,319 people are alive today thanks to their airbags deploying correctly in a collision. And while an injury may still be sustained, you are still entitled to compensation to reimburse you for the losses you suffered. The IIHS’s latest research also revealed that automobiles with front emergency braking and forward collision warning systems were involved in 64% fewer rear-end collisions where injuries were sustained than vehicles without such characteristics. Therefore, this is the first safety feature to consider when purchasing a car. Meanwhile, blind spot detection has been found to reduce the number of bodily injury liability claims by 3.6%, and it has reduced personal injury protection claims by 7.2%. Modern technology in cars is helping to reduce the number of crashes where injuries are sustained. However, it’s important to note that these safety features work hand in hand with responsible driving and the upkeep of standard safety products, such as car seats and airbags. Finally, be sure to further protect yourself by purchasing more than the minimum amounts of PIP and uninsured/underinsured insurance. Read more about insurance in How Do I …Settle It Myself.